Set in a city of scientifically advanced superhuman students, but in a world where magic is also read. Touma Kamijo or main hero’s right hand is named the Imagine breaker, a power that negates every supernatural, magic or godly power. One day he finds a girl who turns out to be from a church of England, named index because of her perfect memorization, it allowed her to memorize all 103,000 grimoires(ancient magic spell books) by the word. Index only has 1 year of memory in each cycle due to the fact that the 103,000 grimoires in her brain takes up 85% of her brain , and if her memory isn’t erased every one year her brain would explode and she would die or so it is thought to be. Supernatural power or espers in this anime are psychic powers that were scientifically implanted into student’s brain to provide a skill also known as power users. They live in a city called academy city which consists of every education known and also a special ground to flourish those powers. Magical power or magic users are those who didn’t have the physical body to sustain such psychic powers started to experiment on cults and symbols to have their own say in the world as well, Thus splitting them into two major factions. Memory plays a key plot in this anime, and the powerlessness of certain people who wanted to save their dearest friends but couldn’t because they are often under the illusions that the methods they have at the moment are the best. 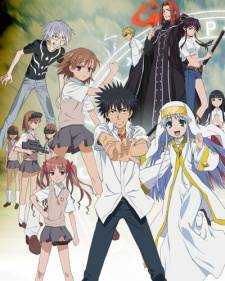 A second season will be out oct 2010, following where the anime left and exploring more into the world of magic and psychic.